Hello to all My Creative Time friends!! I hope you are having a happy Wednesday!! One day until it's officially summer but boy has it been HOT! It was 105 here in California a few days ago! Needless to say we have been avoiding the heat by staying indoors. Fortunately for me, I got to play with my favorite stamps! Todays is day #2 of the MCT sneak peek week! You guys are going to love this set! They are perfect for all of your summer crafts! Because this set is so versatile, you can really create any project with them! Look how adorable this sentiment is!! And the clouds!! WOW! 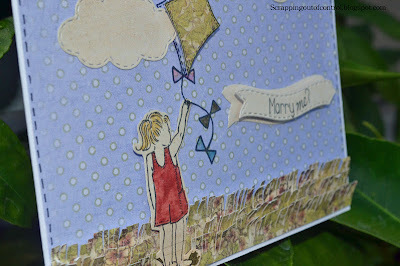 I love how this little card turned out! Miss Emma has done it again! ***SPREAD THE WORD TO THE WORD ON FACEBOOK about this release & whatever connections you may have! Let us know on "My Creative Time's" FB page here http://www.facebook.com/#!/pages/My-Creative-Time/364568506334 that you did so! OR you can just tag Emma in your post! This is so adorable!!!! loving this new release :) Great coloring of this sweet image! wow. really cute idea. this is one neat set with dies. Gorgeous card! Love the pattern papers that you used and your little girl is just adorable! Great job! Nancy ~ okay this is just ADORABLE! You know I LOVE the papers (LOL) but how AWESOME is your grass! 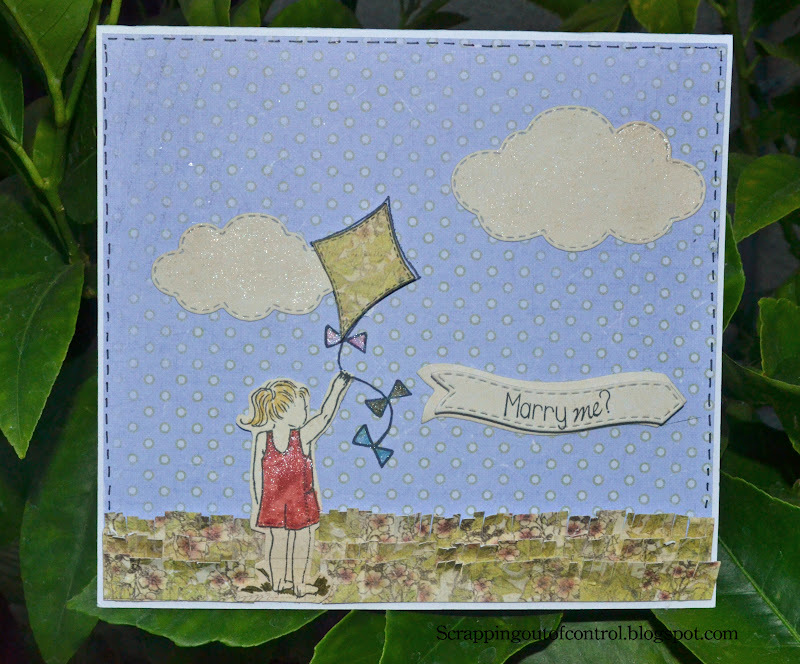 That paper is just PERFECT for a meadow look! AWESOME as always! So very CUTE!!! LOVE the colors!!! Love your shadowing with the stamp. What an adorable card!! It has such a soft & sweet tone....so cute! colors are perfect!! adorable card!! LOL, how sweet. Love that banner die. 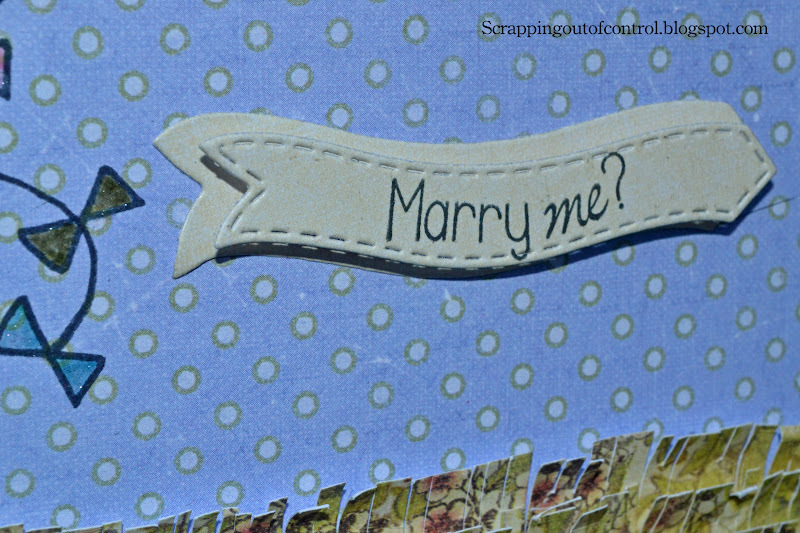 I love your card and how you did your field of grass...very clever idea. Beautiful job! Awesome card i love the little girl!!! Very cute card, love how you created the grass! What a cute and sweet card. Very sweet card Nancy! I agree, Emma's done it again, this release is adorable! I like your card, you did a great job with the coloring, thanks for sharing. 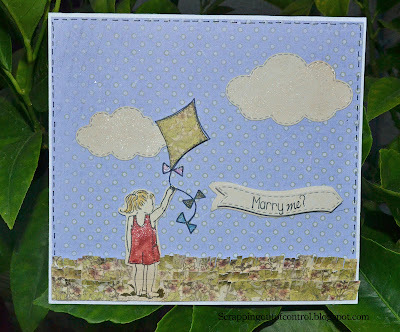 I love the name of your blog...and this card is adorable. Who could say no to a proposal so cute? Thanks for sharing. What a pretty card!! I love the layered and cut grass. Wonderful work with Emma's newest release!! Pretty card. The grass adds great dimension. Thanks for sharing. 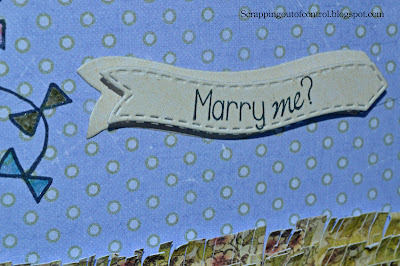 Love, Love, Love the marry me card!